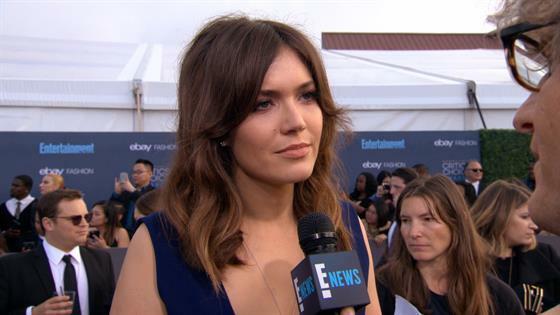 Mandy Moore said on The Howard Stern Show on Wednesday that she found out via an email she wasn't supposed to read that her mother planned on leaving her father for a woman. A couple of years ago, the 34-year-old This Is Us actress and singer first opened up about her parents' divorce and the circumstances that led to it more than a decade ago. Moore said on The Howard Stern Show that she had bought them laptops for Christmas one year and set up their email accounts. She said she came across an email her mother had drafted to her and her brothers, which stated she was leaving their father for a woman and that the two were divorcing. Moore said she did not say anything to her parents because the family was about to go on vacation together. Moore said she was sad her parents were splitting but didn't care that her mom was interested in women. She said she met her partner a few months later and that the two soon moved to Arizona. She said her dad was heartbroken by the split but has since remarried and is happy. She said that now everyone is their authentic self. In past interviews, Moore also revealed that both of her brothers are gay. Moore told Stern they came out early in life. She also said their father jokingly asked her if she wanted to tell him anything about herself, to which she responded no. The actress told Byrdie in 2016 that everyone in her family is "exactly where they should be," adding, "Everyone's so much happier, richer, and more fulfilled, being their authentic selves." Moore also talked to Stern about her love life, past and present. The actress, who is engaged to Taylor Goldsmith, recalled how ex-boyfriend Wilmer Valderrama, who dated her when she was a teenager, hurt her when he told Stern on the air that she lost her virginity to him—a claim she said is not true. "He's a very good friend and that's why I was so shocked by it because not only was it a fib, but it was so unlike him, it was so uncharacteristic," she said of the comment. "I just remember my parents' reaction. They were bummed. Don Moore, especially," she said. "My dad was like, "What?! I liked that young man.' I'm like, 'Dad, I know.'"